You'll discover tucked-away gems like Rauhaniemi Beach and Tallipihan Suklaapuoti. Popular historic sites such as Birthplace of Jean Sibelius and Vanha Kirkko are in your itinerary. Take a break from Tampere with a short trip to Evo Hiking Area in Haemeenlinna, about 1h 25 min away. see Sarkanniemi Theme Park. And it doesn't end there: soothe aching muscles at some of the top local wellness centers, shop like a local with Galleria Ronga, take in the spiritual surroundings of Tampere Cathedral, and take in the architecture and atmosphere at Church of St. Alexander Nevsky and St. Nicholas. To see ratings, maps, where to stay, and other tourist information, refer to the Tampere itinerary builder website . Use the Route module to find suitable travel options from your home destination to Tampere. In June, plan for daily highs up to 20°C, and evening lows to 9°C. 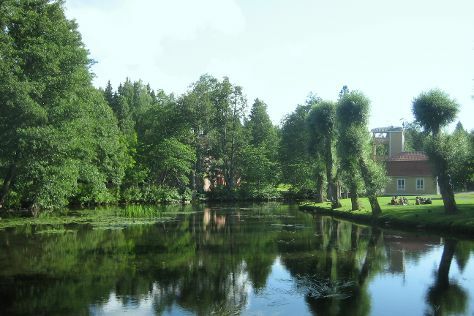 Wrap up your sightseeing on the 4th (Tue) early enough to travel to Fiskars. You'll explore the less-touristy side of things at Bellevue Beach and Raseborg Castle. Deepen your sense of the past at sights like Bengtskar Lighthouse and Pike's Gut. Step out of Fiskars to go to Hanko and see Hanko Water Tower, which is approximately 56 minutes away. To see traveler tips, maps, and more tourist information, read our Fiskars route planner . Drive from Tampere to Fiskars in 3 hours. In June, plan for daily highs up to 22°C, and evening lows to 11°C. Cap off your sightseeing on the 7th (Fri) early enough to travel to Porvoo. Family-friendly places like Arboretum Mustila and Heureka, the Finnish Science Centre will thrill your kids. You'll discover tucked-away gems like Riverside Park and Kotka Church. Go for a jaunt from Porvoo to Loviisa to see Loviisan kirkko about 38 minutes away. There's still lots to do: contemplate the long history of The Runeberg Home, take in the spiritual surroundings of Cathedral of Porvoo, take a stroll around Taidetehdas - Culture and Congress Center, and get to know the fascinating history of Castle Hill. To find more things to do, ratings, photos, and other tourist information, you can read our Porvoo road trip tool . Getting from Fiskars to Porvoo by car takes about 2 hours. In June in Porvoo, expect temperatures between 21°C during the day and 11°C at night. Cap off your sightseeing on the 10th (Mon) early enough to go by car to Lappeenranta. Start off your visit on the 11th (Tue): pause for some serene contemplation at Lauritsala Church, explore the historical opulence of Sandcastle Lappeenranta, then pause for some serene contemplation at Church of the Intercession of the Mother of God, then stop by MyGoodKnife, and finally contemplate in the serene atmosphere at Lappeen Marian kirkko. For traveler tips, other places to visit, where to stay, and other tourist information, read Lappeenranta trip site . You can drive from Porvoo to Lappeenranta in 2.5 hours. Other options are to take a train; or take a bus. In June, daytime highs in Lappeenranta are 22°C, while nighttime lows are 11°C. 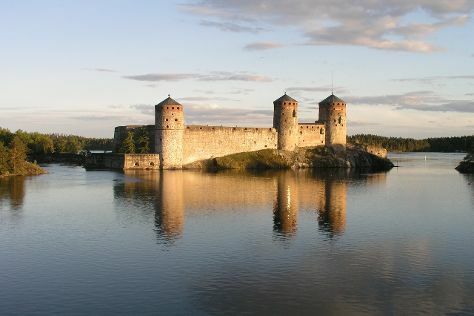 Wrap up your sightseeing on the 11th (Tue) early enough to drive to Savonlinna. Start off your visit on the 12th (Wed): appreciate the history behind Savonlinna Herostatue - The Hero's Grave, step into the grandiose world of Savonlinna Cathedral, look for gifts at Taito Shop Savonlinna, then pause for some serene contemplation at Pikkukirkko, then step into the grandiose world of Olavinlinna Castle, and finally examine the collection at Savonlinna Provincial Museum. To find where to stay, reviews, ratings, and tourist information, read our Savonlinna travel itinerary planner. Drive from Lappeenranta to Savonlinna in 2.5 hours. Alternatively, you can take a train; or take a bus. In June, daily temperatures in Savonlinna can reach 21°C, while at night they dip to 10°C. Wrap up your sightseeing on the 12th (Wed) to allow time to drive back home.